I lay and watch you sleep beneath the citrus sky. 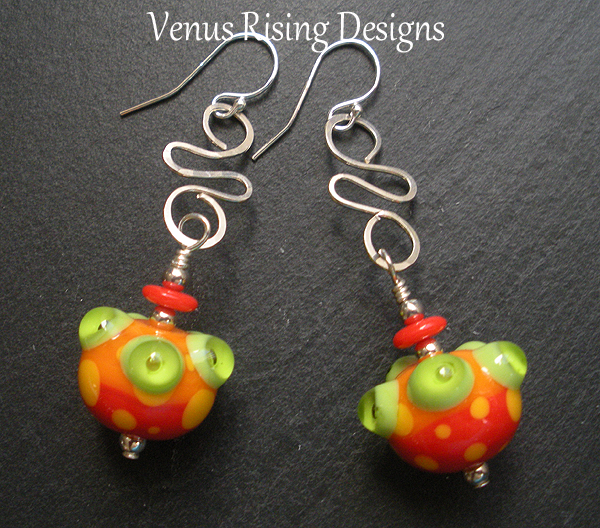 These earrings feature artisan-crafted lampwork beads in bright citrus colors of lime, lemon and orange. I accented them with hand-hammered sterling silver squiggle connectors, and coral and sterling rounds. Sterling silver beads, wire and findings; wire-wrapped for security. Length is a squidge over 2-1/8" including the earwires.